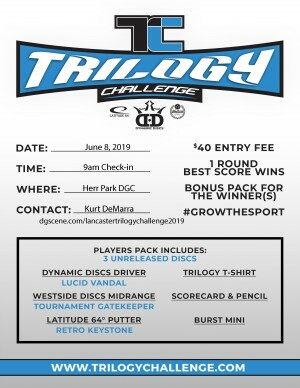 Commonwealth Disc Golf & LAFS presents the 2019 Trilogy Challenge. The Trilogy Challenge is an annual global event that started in 2014, and has steadily gained popularity each year. Each player pack will consist of 3 unreleased disc molds, one from each of the following companies: Latitude 64, Dynamic Discs, and Westside Discs. Players will also receive a T-shirt and TC mini disc. The winner from each division will receive additional prizes. 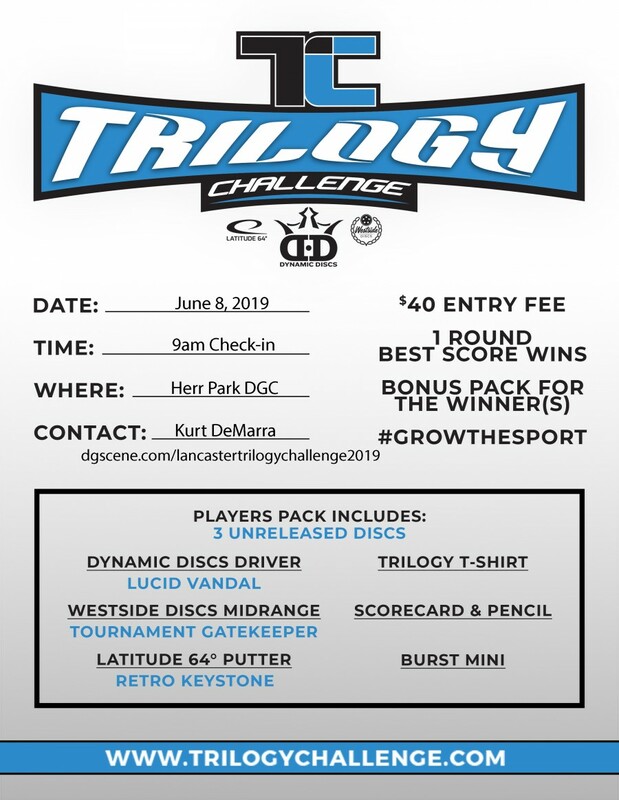 The Trilogy Challenge is geared toward growing the sport of disc golf, with your player pack consisting of everything you need to start playing. All skill levels are welcome. Important: This event sells out every year! Be sure to get registered early to guarantee a spot, and to get your hands on the unreleased discs months before they're available to the general public. If you have any questions, please contact the tournament staff via this page. Commonwealth Disc Golf is responsible for all refunds/cancelations. This event will happen rain or shine.